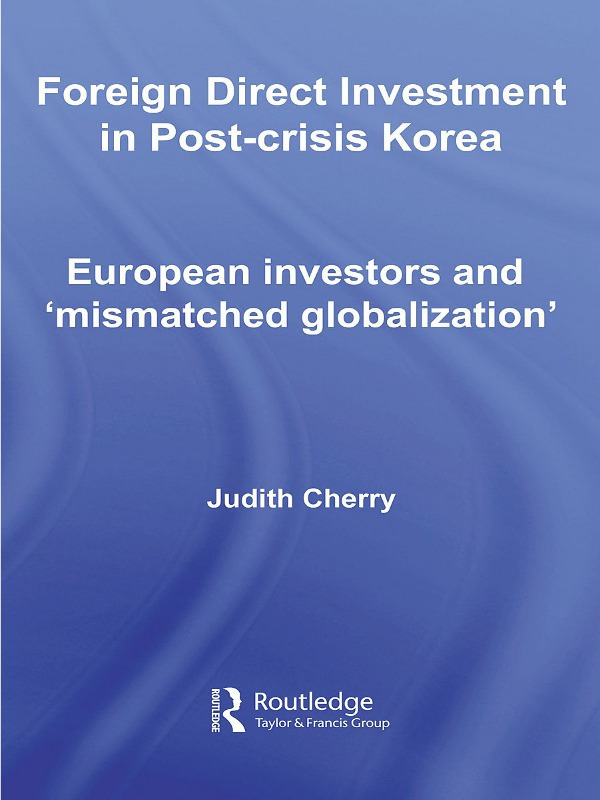 In this book Judith Cherry analyses the impact of economic and cultural globalization on efforts to promote inward foreign direct investment (IFDI) in South Korea over the past four decades. The book traces the development of Korean IFDI policy from one of restriction and control to one of encouragement and promotion. Specifically, it focuses on the challenges inherent in reforming the ‘software’ of IFDI promotion (socio-cultural issues, mindsets and perceptions) as opposed to changing its ‘hardware’ (systems, laws and regulations). Although the Korean government has made sustained efforts over the past decade to enhance Korea’s attractions as a host for inward investment, it has faced significant challenges in improving Korea’s IFDI performance. The discussion in this book of the wide range of transparent and non-transparent barriers that continue to hamper efforts to promote inward investment draws not only on the Korean debate concerning strategies for maximizing the benefits of IFDI, but also on the assessment of the Korean business and investment environment revealed in interviews conducted with European investors and officials in Seoul. Foreign Direct Investment in Post-Crisis Korea will appeal to students and scholars of international business, economics and globalization, as well as those with a more general interest in Korean society. Dr Judith Cherry is the Lecturer in Korean Business and Management at the University of Sheffield. She is the author of Korean multinationals in Europe and received the MBE in 1999 for services to exports to Korea.